Taking care of your hair and skin is one of the elements of being healthy. In our health and beauty section you can access the major health and beauty wholesalers in the whole United States. 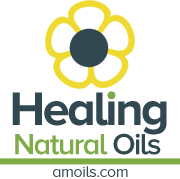 New Directions Aromatics is the leading wholesale supplier with over 800 products, including more than 250 varieties of 100% pure Essential Oils, 180 Fragrant Oils and 80 Carrier Oils. Weiner’s Ltd is your one stop shop for brand-name travel size toiletries, medicines, personal care and food products with quick turnarounds and competitive wholesale prices.